Welcome in the mountains, welcome to Sporthotel Paradies in Sulden am Ortler. 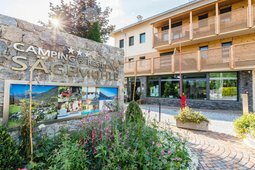 You can find the hotel in the Vinschgau Valley, in the middle of the Stilfserjoch National Park 1,900 metres above sea level, surrounded by majestic mountains. 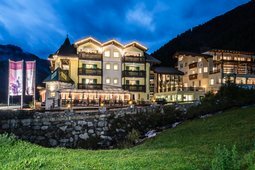 Hotel Traube is located in the heart of the Stelvio National Park in a strategic position: in summer it is an ideal starting point for hikes, bike and motorbike tours and in winter is in the immediate proximity of the ski slopes Solda and Trafoi. The Residence Sägemühle is located in the middle of a plain, in the western side of South Tyrol and at the feet of the Stelvio National Park. Quiet and sunny, 300 sunny days for your holiday, this is a guarantee, because the Vinschgau is one of the driest valleys of the Alps. The Grösshof is a family run holiday house located 1,200 m a.s.l. in the Stelvio National Park, in a sunny and quiet spot above the ruins of the Montechiaro Castle. A breathtaking panorama of the whole Venosta valley is waiting for you. 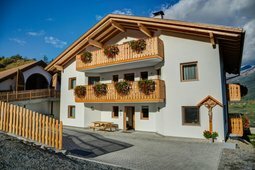 Residence Ortlerhof is located in the village of Prato allo Stelvio, in the Venosta Valley, in the touristic region of the Ortles mountain group and the Stelvio national park. The facility offers holiday apartments or rooms with breakfast service. 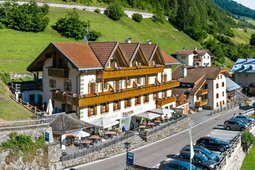 The Hotel Gallia is situated at the feet of the Stelvio pass, in the middle of the Stelvio National Park. It is an ideal starting point for hiking, motorcycling and cycling. All the rooms are fully equipped with shower and toilet, digital LCD-TV, free WiFi, telephone. Forget your daily routine and enjoy the amazing comfort of this family run hotel. 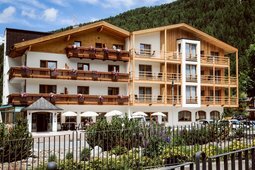 Hotel Gertraud is located in Solda, 1,900 m a.s.l. at the foot of the Ortles, in the heart of the Stelvio National Park. The position is peaceful but central, right at the entrance of the village. Arrive and make yourself at home. 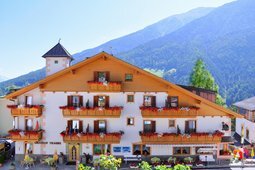 The hotel is located in a very quiet position on the sunny slope of the small mountain village of Sulden, with a breathtaking view of the picturesque backdrop of the highest mountains in South Tyrol.